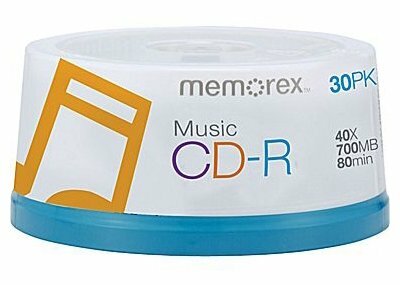 Memorex Music CD-R media is specially designed for music files to be recognized in the widest range of audio systems and computer devices. Music CD-R is perfect for backing up your music library or saving your custom music mixes. Offers the best playback and recording compatibility with computer and home audio recorders and players Perfect for saving data files or backing-up your favorite music Data Capacity: 700 MB Audio Storage: 80 Minutes Max. Speed: 40X Note: Purchase of a sample is highly recommended.